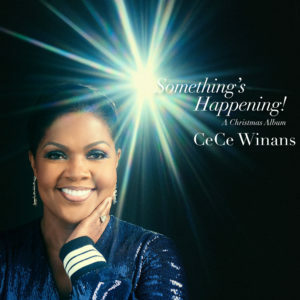 Grammy Award-winning artist CeCe Winans would be the first to admit that something is always happening in her life. As a wife, mom, pastor’s wife, and Christian artist, she wears a lot of hats. In a rare sit-down interview, Winans discusses why she loves being a pastor’s wife and her new Christmas album. Six years ago, you and your husband Alvin started Nashville Life Church. Do you enjoy the role of pastor’s wife? Yes, I am. I mean, it’s nonstop, but I enjoy it. When God called your husband to pastor, what were your thoughts? It was a family affair to be honest with you. We weren’t planning it. In fact, we were thinking about slowing things down musically, leaving the Nashville area, and moving to the west coast before God called my husband to pastor. My son, Alvin, spent some time away in Australia and rededicated his life to Christ while there through a small church that he had been visiting. Alvin came back home on fire for the Lord and led His friends to Christ. He asked us if he could start a Bible study in our home. I said sure, but I still wasn’t thinking a church. However, it led to my husband feeling the call to pastor the people who were showing up for the Bible study. How has being a pastor’s wife impacted you spiritually? It’s been an amazing addition to our lives. You know, it’s taken over our lives, but we’re finding out that this was in us, a family. I’ve watched God do some amazing things. I’ve learned by being a pastor’s wife that when you give up your plans and allow God to use you amazing things will happen. I can remember praying to God through the process, “Whatever you want to do with my life, I’m yours.” God has shown Himself faithful the last six years. What are some things you enjoy seeing God do in the church? We have a diverse church full of millennials, which is awesome to see people get saved and give their hearts to Jesus. It’s like, wow, what better way to experience life! And to think we were going to retire. What have been some of the challenges of being a pastor’s wife? The most challenging thing has been when we started the church, and I was doing [shows] here and there. That was challenging enough, and then I also recorded a new album during that season. So I made a big change in traveling—I just do the weekends. I’m home on Sunday. I might miss two Sundays or three Sundays in a year maybe. I love being in my home church. What advice would you give to other pastors’ wives? You can only do so much, and you have to be okay with that. I’m okay with not being able to do it all. I’ve had to learn that it’s OK not doing it all. Let’s talk about your new Christmas album. What did you want to convey and where does the title “Something’s Happening” come from? Too often we get caught up in the gifts and other things that we miss out that something happened when Jesus came into the world, which is the greatest gift God could ever give.It’s been a long time since I recorded a Christmas album, so I felt the call to do one again. I wanted to emphasize Jesus first and foremost, because He is the something that did happen. I wanted to reflect on His birth and God giving us His son Jesus. I wanted the album to embody the beauty of Christ. Too often we get caught up in the gifts and other things that we miss out that something happened when Jesus came into the world, which is the greatest gift God could ever give, His son. What makes this album different from your last Christmas album or your other albums? I always wanted to do a live orchestra. The orchestration on this record is just amazing. And I wanted to create something that was different from my first one. I wanted people to be reminded of the gift that God has given us. When I recorded this in the middle of summer, which is always weird recording a Christmas album in the middle of summer, I wanted people to know the reason and purpose behind the album is Jesus. I had a lot of fun recording the album. Christmas in our household is very simple. I grew up in a large family, so as a child my parents instilled in me that Christmas should be about worshiping Jesus and the gift God gave to us. Now that I have grown kids of my own, it’s still that. Not to say that we don’t exchange gifts because we do—but it’s not the main focus.